Staying in a motel can be a gamble these days, especially if the place is known for having low prices. You feel unsure if the staff are suitably trained, or even if the room you’re staying in is going to be cleaned properly before you move in. 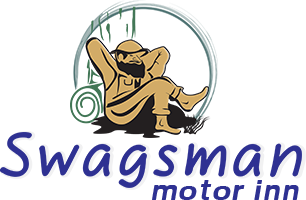 The Swagsman Motel provides cheap accommodation close to Chinchilla, giving you a quality, enjoyable stay without breaking the bank. We give you high-value service, 24 hours a day. You will have access to the amazing restaurant and cocktail bar, have undercover parking, and stunning, cosy rooms to relax and rest. The bedrooms are neat and organised; giving you access to free Wi-Fi and 20 Foxtel channels to watch from the comfort of your bed. 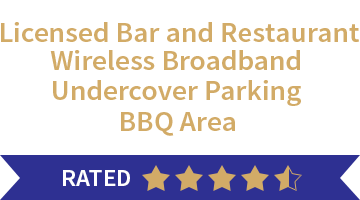 You don’t even have to visit the motel restaurant in person; we can bring your meals to your room for extra convenience. The Swagsman Motel offers you peace of mind by having 24-hour security surveillance, ensuring the safety and comfort of our guests. We offer big family rooms sleeping up to eight people, as well as kitchenettes and private courtyards in all rooms. You have chosen the Swagsman Motel as your cheap accommodations near Chinchilla, but what else can you do while you are here? A mere 35-minute drive can take you to the Chinchilla Museum on Villiers Street. This thrilling museum will teach you about the history of how people used the natural resources of Chinchilla, which is a fascinating piece of Australia’s history. You will learn about how the sawmilling industry started the town, how prickly pear cactuses caused devastation, and how Chinchilla became famous as the melon capital of Australia. There are many interesting gems to be discovered in this town. Choosing an affordable motel near Chinchilla will leave you with more money in your pocket to explore the area and learn more about the locals. Swagsman Motel offers a walking path through Dogwood Creek. Walking this path will bring you closer to nature and relax you from the inside out, giving you the strength to face your day. The path has breathtaking views and excites your sense of Australian adventure. You will have excellent views from the motel, and we offer BBQ areas.